There is a ten percent chance of latent tuberculosis in patients becoming active again but this risk is much higher in people who have compromised immune systems. Although people living with HIV or malnutrition, or people who smoke run a higher risk TB affects all age groups in all parts of the world. However, the disease mostly affects young adults and people living in developing countries. 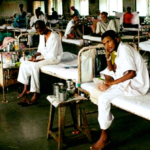 In 2012, 80 percent of reported TB cases occurred in just 22 countries. According to the Deputy Minister of Health and social Services Juliet Kavetuna said more than 10 million people had active TB worldwide in 2017, of which 490 000 were cases of multidrug-resistant TB. Namibia is among those 30 countries. Estimates are that Namibia has the 11th highest incidence rate of TB in the world. Drug resistance is a major threat, with seven percent of all TB patients in Namibia showing resistance to key first line treatments, which then requires more complex and more expensive treatment. “We need to also remind ourselves of our indelible responsibility towards those among us who have been affected by this disease, as we collectively strive for a Namibia free of TB”, Kavetuna said. Kavetuna said drug resistance is often associated with problems in managing the disease and results in poorer treatment outcomes and high mortality. She went on to say although it is curable, 37 000 people die from the airborne disease in the Southern African Development Community every year. “That is almost five deaths every hour,” Kavetuna noted, adding that 700 people died from TB in Namibia in 2017. Namibia last year had 8 100 patients with TB and 714 of them were children under 14 years. Namibia is one of the top 10 countries with the highest per capital burden of tuberculosis (TB) in the world. According to the National Strategic Framework for HIV and AIDS Response in Namibia 2017/18 to 2021/22 said the percentage of tuberculosis (TB) patients with known HIV status increased from 89% in 2012 to 92% in 2014. In 2013, 81% of PLHIV with new smear-positive TB were successfully treated. 87% of HIV positive persons were screened for TB. The World Health Organisation reported that in 2018, ten million people fell ill with TB, of which 87% were in 30 countries with the highest TB burden.